...Together with the formation of the first State in Viet Nam's history was the evolution of a diverse economy and advanced culture known as the Red River civilization (or Dong Son civilization) symbolized by Dong Son bronze drum, a heritage reflecting the quintessence of the lifestyle, traditions and culture of the ancient Vietnamese. In the cause of national building, the Vietnamese also had to cope with the foreign aggression. During 12 centuries from the resistance against the Qin dynasty in the 3rd century B.C until late 20th century, the Vietnamese had to endure hundreds of wars and uprisings against foreign aggression. Since the 2nd century B.C, Viet Nam had been dominated by different Chinese dynasties for more than a thousand years. During this period, the existence of the nation had been challenged which helped give rise to the spirit of staunchness of the Vietnamese in the struggle to maintain the nation's vitality, preserve and build on the quintessence of its culture and the determination to gain national independence. Despite many vicissitudes, the Vietnamese nation continued to develop in all fields, reflecting its strong vitality and unceasing evolution. The Bach Dang victory in 938 opened up a new era in Viet Nam's history - the era of development of an independent feudal state, national construction and defense. As a result, the centralized-administration state was established under the Ngo (938-965), Dinh (969-979) and earlier Le (980 - 1009) dynasties. Then, Viet Nam entered the period of renaissance and development under the Ly (1009-1226), Tran (1226-1400), Ho (1400-1407) and Le So (1428-1527) dynasties. Dai Viet, the name of the country under the Ly, Tran and Le dynasties, was known as a prosperous country in Asia. This period marked the golden age of Viet Nam's history. Economically, this period saw the development of agriculture, irrigation (with the construction of the Red River dike) and the formation of traditional handicrafts. In terms of religion, Buddhism, Taoism and Confucianism were considered the three co-existing official religions exerting great influence on people's life. One important achievement in the Ly-Tran dynasties was the introduction of Nom scripts, Viet Nam's own writing system based on the reform of Chinese Han scripts. In addition, this period also marked the splendid development of education, science, culture, art, history and law etc (such as the establishment of Van Mieu Quoc Tu Giam - the first university of Viet Nam, the introduction of Hong Duc Code and Complete History of Dai Viet etc). This period was called the Civilized Age of Dai Viet. Thang Long (the old name of Ha Noi capital) was officially recognized as the imperial city of Dai Viet according to the Proclamation on the transfer of the capital to Ha Noi in 1010 by Ly Thai To. From the 16th century, the backwardness and weakness of the feudal regime under Confucius ideology were revealed, feudalism fell into a decline. While many nation states in Europe were moving to capitalism, Dai Viet was bogged down in internal wars and divisions, which heavily impeded the country's evolution despite certain developments in the economy and culture, the establishment of towns and ports and the growth of trade and exchanges between the 16th and 18th century. In the 19th century, Western capitalist countries entered the period of imperialism and colonialism. Through missionaries and trade, the French gradually dominated Viet Nam. For the first time in history, the Vietnamese nation had to cope with the invasion of a Western country. In that context, some Vietnamese intellectuals were aware of the need to carry out reforms in an effort to bring the country out of stagnation and save national independence. Many plans of reform were proposed, yet rejected by the Nguyen dynasty. Subsequently, the country was driven into backwardness and deadlock. Viet Nam became a semi-feudal colony for nearly 100 years from 1858 to 1945. After setting up the colonist rule in Viet Nam, the French colonialists quickly began large-scale exploitation in the country. Capitalist production relations infiltrated in Viet Nam, stimulating the formation and evolution of internal capitalist factors, and as a result, narrowing and breaking up the existing feudal production relations. Viet Nam's economy thus moved from a backward and self-sufficient economy to a colonized one totally controlled by the French capitalists. A new social structure evolved along the line of capitalism, and subsequently the division between landlords and farmers was deepened while new forces, such as the working class, the bourgeoisies and petit bourgeoisies gradually came into being. With the Declaration of Independence on 2nd September 1945, the Democratic Republic of Viet Nam came into being. The globe-shaking victory of Dien Bien Phu (May 1954) and the Geneva Accord (July 1954) put an end to the war of resistance against the French colonialists, opening up a new era of independence and freedom for the Vietnamese nation in which North Viet Nam embarked upon the transitional period towards socialism. According to the Geneva Agreement, South Viet Nam was under the temporary control of the French and the Americans in the run-up to the general elections. Nevertheless, the general elections could never be held due to the interference of the United States. The Republic of South Viet Nam headed by Ngo Dinh Diem was established by the United States. Viet Nam continued to be divided for more than 20 years. Between 1954 and 1975, Viet Nam had to fight another war for national liberation and unification. With untold hardships, the war came to a successful end following the victory of the historic Ho Chi Minh Operation in 1975. Since then, the unified Viet Nam has ushered into a new era of peace, unification and national construction. However, in the first ten years of this period, many socio­economic targets were not achieved due to both internal and external reasons. Viet Nam's economy fell into crisis and stagnation and people's lives were difficult. At the 6th Congress of the Communist Party in 1986, the Doi Moi (reform) policy was launched with the focus on economic reform. This marked an important milestone in the new stage of development of the Vietnamese nation. The Doi Moi policy was consistently reaffirmed throughout the later Party Congresses. With the implementation of four five-year socio-economic development plans, Viet Nam, from a food importing country, has become the second largest rice exporter in the world. 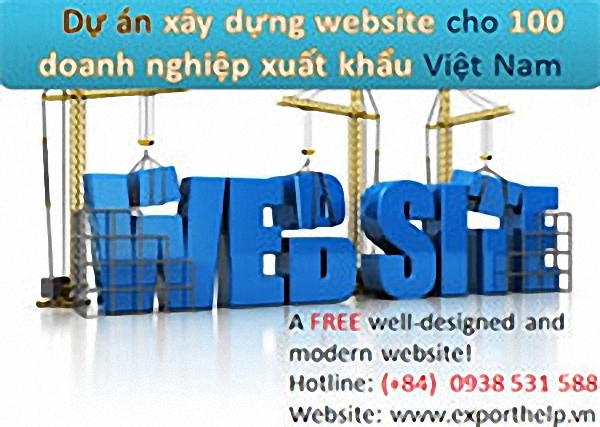 Viet Nam also exports a lot of other commodities with well-known brands. The economy attained high growth rate in the late 20th century and the early years of the 21st century, people's lives have been significantly improved; social policy received greater attention, the legal system has become increasingly complete and social management based on the rule of law put into place. Throughout history, the Vietnamese people have been characterized by the traditions of mutual assistance, ethic- based lifestyle, benevolence, one-mindedness and sharing of hardships in needy times, flexible ways of behaviour, the tradition of eagerness to learn, respect for righteousness and tolerance. These are the powerful and endless endogenous strengths for the Vietnamese nation to embark on the cause of national construction towards the goals of strong country, prosperous people, just, democratic and advanced society.